Rudy Gobert is a French professional basketball player. At 26, he is the first-team center and the star player at NBA club of Utah Jazz. He begins basketball at the age of 11 at the JC St Quentin. He makes steady progress but his size is still in the average. His outstanding potential only catches the eye of the Cholet Basket Club. He will win several titles in the youth categories that grant him access to the Junior National Team. In 2011, he joins the Elite pro section of his ball club. He will end up best shot blocker for his 2nd season only. At the local All Star Game, he remains the youngest player to be selected for this exhibition. 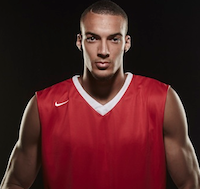 In 2013, Rudy Gobert was selected at 27th rank during the NBA Draft. As a fresh member of Utah Jazz, he strives on the biggest stage as early as his second season. With the French National team, his participation to the World Championship in Spain is also a great achievement. He plays a key role in defeating the host country in memorable quarter finals, grabbing the bronze medal. Thanks to his performances, Rudy gets selected for the 2015 Rising Stars Challenge. Rudy achieves his best performances during the 2016-2017 season, as he scores on average 14 points per game. He is logically named into the All-NBA 2017 Second Team that season. He confirms his good performances during 2017-2018 and ends his season as NBA Defensive Player of the Year. 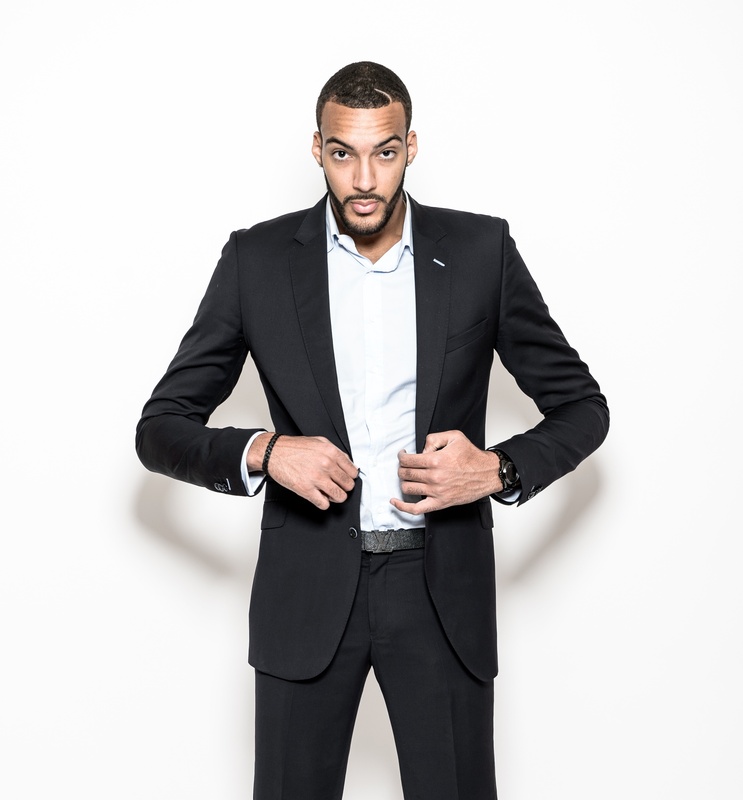 As a blatantly assertive young men, Rudy Gobert displays great ambitions for the French national Squad, his NBA club as well as himself. He is now considered as one of the most important French sport practitioner. 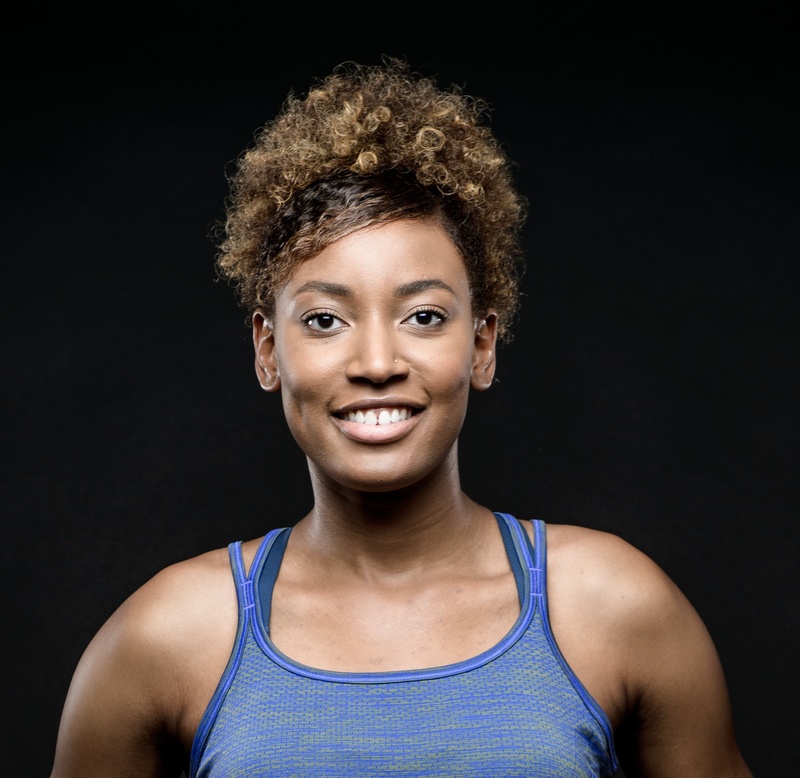 Diandra Tchatchouang is a French international athlete playing at the Montpellier Lattes Basket. At 27 the winger has become a key player in the French basketball team. Beginning her second basketball year she takes part into her first France Championship. After a short period at the Ermont-Eaubonne Youth Academy, Diandra integrates the National Academy of Sport in 2005. At 18 she joins the Maryland Terrapins and scores up to 25 points per game. She makes a successful return in France with Montpellier, as she ends the 2012-2013 season with a WNBA draft selection. In 2014 Diandra signs with the Tango Bourges Basket and wins her first French Cup. She does it again in 2017. In 2018 she wins both Coupe de France and French Championship, and leave the club at the end of the season. She takes part in the Junior French National team in 2005, two years younger than her teammates. The year after she become European Champion with the “Bleuettes”. In 2013 and for her first Senior competition she wins a nice Silver Medal at the European Championship. She reiterates in 2015. In everyday life Diandra shines with a brilliant rich academic background. She is English bilingual and has followed Political Sciences studies at Maryland University. She has a huge consideration for equal opportunity and gives an unfailing help to La Courneuve youth, her hometown. Strong from this societal commitment Diandra Tchatchouang is a balanced and accomplished athlete. 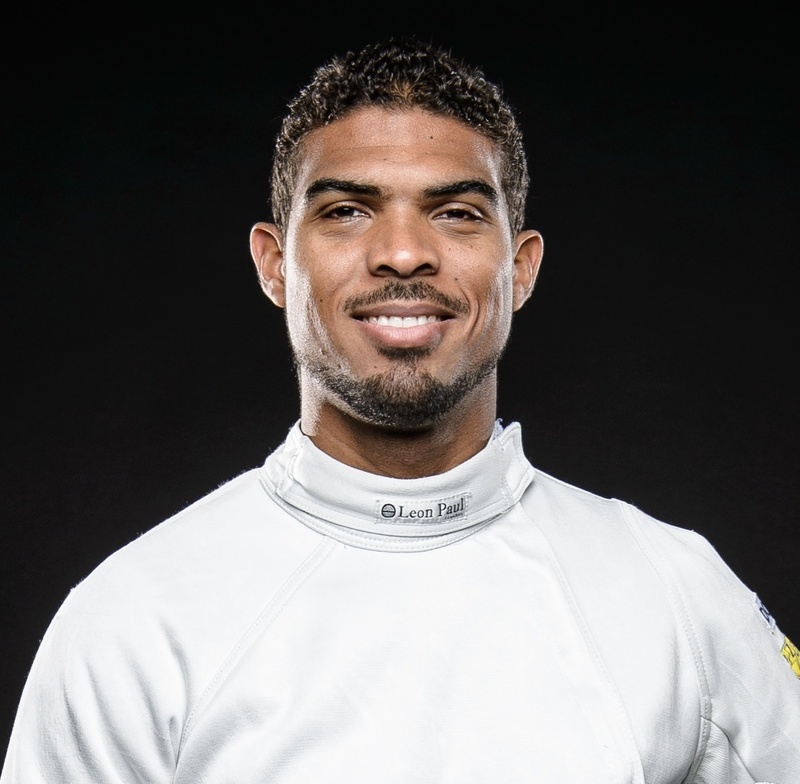 Yannick Borel is a French top-level fencer. This 28 years old épée practitioner has progressively set foot into the “invincibles” group. He is surely becoming the current face of the French fencing discipline. Yannick starts practicing his sport in Pointe à Pitre fencing in Guadeloupe. At the age of 19 he leaves his native island to settle in Metropolitan France. After spending a few months at the Youth Academy in Reims, he rapidly integrates the French National Sport Institute in 2008. In 2011 he joins the Levallois Sporting Club and takes part in his first international Senior competitions. He will waste very little time to earn his first international podiums. To everyone’s surprise he qualifies individually for his first Olympic Games in 2012, in London. He does it again in 2016 after winning the European Championship in Torun. He will go on to win the Olympic team title in Brazil. As he is now commanding one of the strongest prize-list in French fencing, Yannick is aiming for the 2020 Tokyo Olympics. At 32 he may reach his highest mental and physical capacities. More than ever he will target a double Olympic podium. Manon Brunet is a French fencer. Coming from Rillieux-la-Pape in Lyon region she begins sabre at the age of 8. 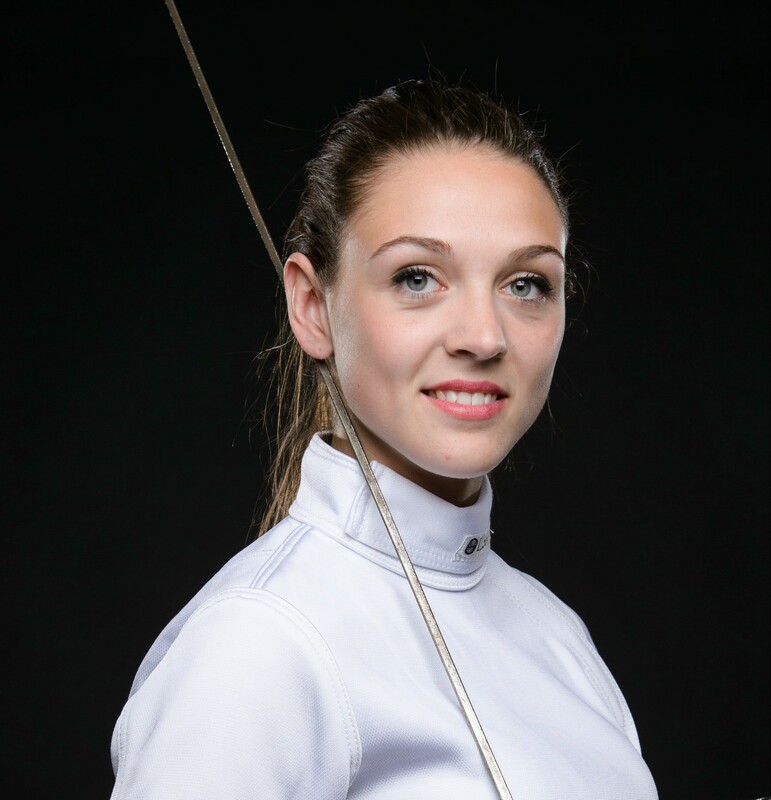 At only 20 she may be one of the best female hope for French fencing. Manon begins her sport at the Rillieux Fencing Club under Carlo Bravo orders, son of famous fencer Hector Bravo. After her first trainings he detects the young fencer’s exceptional talent. He will follow her for 8 years, before she joins in 2011 the Orléans Fencing Club in junior category. Her progression is fast. She integrates the National Academy of Sport in 2013. At 18 she is selected in the French National Team for the 2013-2014 season. She achieves podiums for her first year. Manon wins her first individual (Bronze) at the Caracas World Cup leg, in September 2015. This performance will help her to approach serenely this crucial season with the 2016 Olympics Qualifiers. In Rio, she shows a surprising maturity by getting into the semi finals for the individual leg. Since 2016 Manon keeps going on good performances and multiplies medals in World Cup legs. Her precocious talent status changes progressively into a huge hope for fencing. Maybe Female French fencing has found a charming and simple top figure. Alexandra Recchia is probably the most well-known French Karateka. At 30, an Olympic gold medal in Tokyo will be a crowning achievement. In 2006, she starts winning international medals during European and World Championships. She gets to Senior category in 2008, and quickly starts to be a part of the bests. During her first World Championships, she wins a Bronze medal. 2012 is the recognition year for Alexandra; She wins her first individual World Championship, at the Paris Bercy tournament. This victory still is the most significant of her international career. Up to now, she is 3 times European Champion (2011, 2013, 2016), 5 times individual and team World Champion (2010, 2012, 2016), 1 time gold medalist at the World Games (2017). Thanks to her lawyer background, Alexandra is able to show strictness and self-discipline. As a physical exercises addict, she has a really good popularity in social networks. She’s now focuses on the last objective of her career: Olympic Gold Medal at Tokyo 2020. Walide Khyar is a 23 years old French judo practitioner. He competes in the men’s 60kg Category. He is one of the biggest potentials for a French Tokyo Olympics Game’s Gold medal. Walide started Judo at 7, at the Blanc-Mesnil club. He has become established both for his willpower and his fighting spirit. In 2010, he gets to the Pôle France Orléans. After that, big performances in International Championships come one after another. He ends 2015 as a world n°1 ranked Junior. In 2016, he easily gets used to Senior category. He wins a Bronze medal in the Grand Slam Tournament, in Paris. Few months later, he takes everyone by surprise and win the European Championship with his Ippon at the very end of the final. At 20, this victory made him the youngest judo artist European Champion. After an appearance at Rio, Walide starts 2018 with a title at the Grand Slam in Tunis. His next target is now Tokyo 2020. Given to his both precocious talent and uncommon career path, he probably could be the next headline of the men’s French Judo. Olivier Nyokas is a French International player who plays for HBC Nantes. He has a twin brother who has also played for his National Team. Both are forming a very rare duo who practice their sport at the highest level, in one of the most successful national teams in the world. At 14, Olivier begins practising Handball in the French school system. In 2006, he is detected and later signed by the Paris Handball. In 2008, he is loaned to BM Alcobendas, a second division club from the Spanish league. He will earn the division title as well as promotion to the elite level: Liga ASOBAL. Olivier signs consequently a contract of 2 years with Alcobendas. Amon the multiple accolades that he will get, Olivier will be selected in the Spanish All Star Game. In 2010, he comes back to his native Paris Region and signs a three years’ contract with the US Créteil. He earns again the second division title, while accessing the French league championship. The next two years (2014 to 2016), Olivier takes on a new challenge playing for Balingen-Weilstetten, in the German championship. He becomes one of the key players in his club to the point of being selected to the German All Star Game as well as the French National Team. At the Olympic Games of 2016, Olivier earns the silver medal with the “experts”. 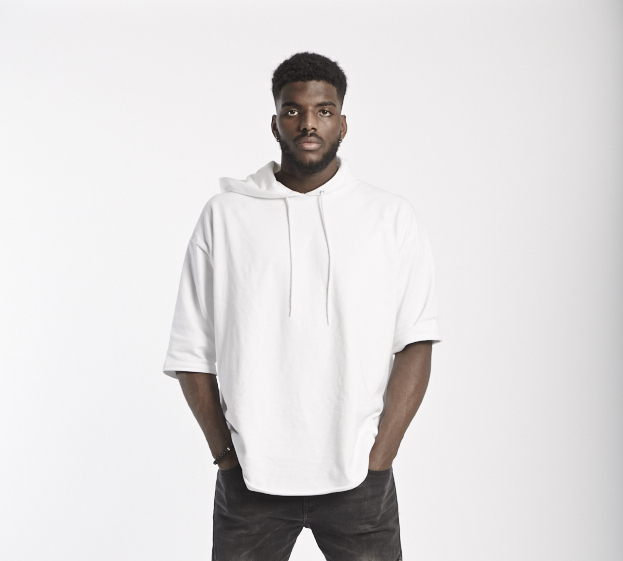 With his down-to-earth personality, Olivier is an esteemed player, both for his playing skills as well as his social skills that make him a key element to any group dynamic. 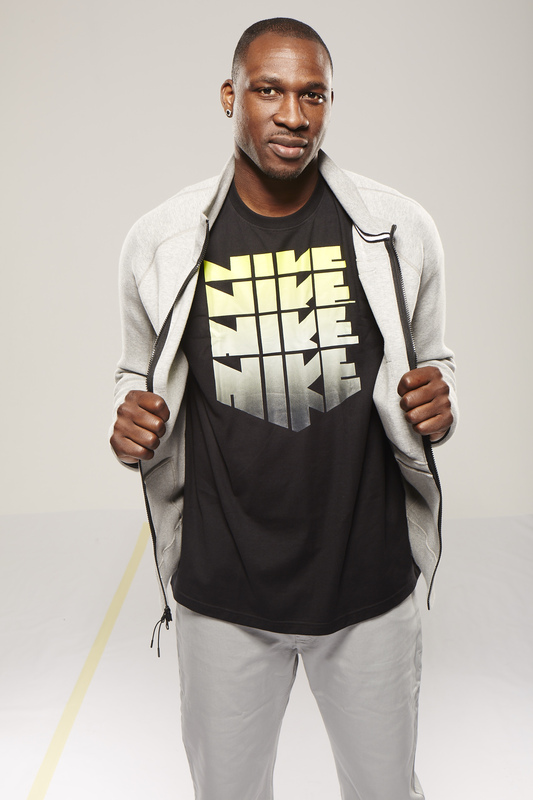 Florent Pietrus joined the Pau-Orthez training center in 1996. He was followed by his brother Mickaël in 1997, and together, they quickly asserted themselves as two of the greatest hopes in French basketball. The eldest of the Pietrus brothers, Florent was part of the Pau generation of players, led by Claude Bergeaud, which won almost every possible championship title in France between 2001 and 2003. After the departure of Boris Diaw and his brother for the NBA in 2003, he spent a last season in Pau, winning his third title, before moving to Spain. There, Florent Pietrus won the King’s Cup in 2005, and in the following season, he won the Spanish championship with his club Unicaja Malaga. He then joined another Spanish club, Estudiantes Madrid. At the beginning of the 2008-2009 season, he signed with Valencia Basket Club. Florent was back to France in 2013, and signed with the SLUC Nancy before joining the BCM Gravelines in 2016. Additionally, he has been one of the senior players in the French national team for more than 10 years. His defense and his striking presence on the boards made him one of the principal architects of France’s third-place finish at the European Championships in 2005. In 2011, he became European vice champion and won the actual title in 2013. He has won two medals (bronze this time) at the World championship in Grenada in 2014 and at the European championship in 2015. Florent has just stopped his international career at 230 selections and 14 years spent with the French National Team. At 36, he is to this day the third most capped player of the French National Team history. He will retire from professional basketball just at the end of the 2017 season. 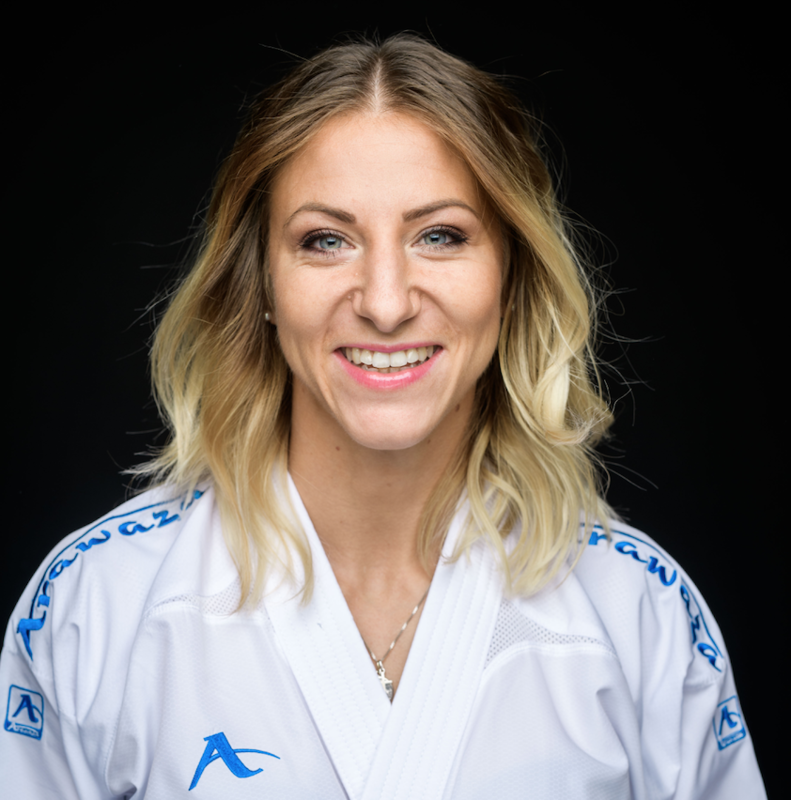 Anne-Caroline Graffe is one of the top international taekwondo athletes. 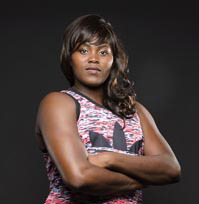 Currently ranked number one in her weight category, she has already won several medals in major international championships including a silver medal at the London Olympic Games. She is now slowly becoming the leader of her national team as well as a prestigious ambassador of Tahiti, the Pacific Island where she comes from. First introduced to taekwondo by her two brothers, Anne-Caroline quickly became one of her Isand sensations winning along the way several regional championships. She finally crossed the ocean after joining the AUC (Aix-en-Provence Université Club) in Continental France. She will eventually earn 7 French National titles obtained from 2005 to 2012 in the +73kg category. She then rejoins the French National Training Group (INSEP) based in Paris. In 2011, she finally reaches the apex. She becomes World champion in Gyeongju – South Korea as well as a European Championship in 2012. As a civilian, Anne Caroline is a pleasant and accessible woman. She just obtained her journalism diploma from SPORTCOM while maintaining her daily training routine. She is also still very attached to her Polynesian roots. 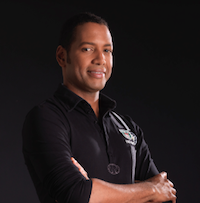 Johan Heloise is a rally car driver from Martinique. He has followed quite an amazing path to get to the highest level of his sport. He started to compete at a mature age and did not follow usual channels of detection. He begun in 2007 in regional competition and showcased such an exceptional skill set that he got invited to a contest race in Italy, the Castrol-Pirelli. to everyone’s surprise, he came out victorious. His progression curve becomes then very impressive. He won the Palladio’s race in his category and was ranked 3rd in all categories. Thanks to these results, he joins the Subaru team. In 2012 he finishes 7th in the standings of the championship in his category. Two years later, he integrates Rally Championships ( WRC category -2 production). His first race ( Rally of France in Alsace ) is rather successful given that he wins the contest in his category of vehicle. His objective now is to take part in the WRC2 championship in 2016 while participating in regional rallies such as those in Latin America and in the US. 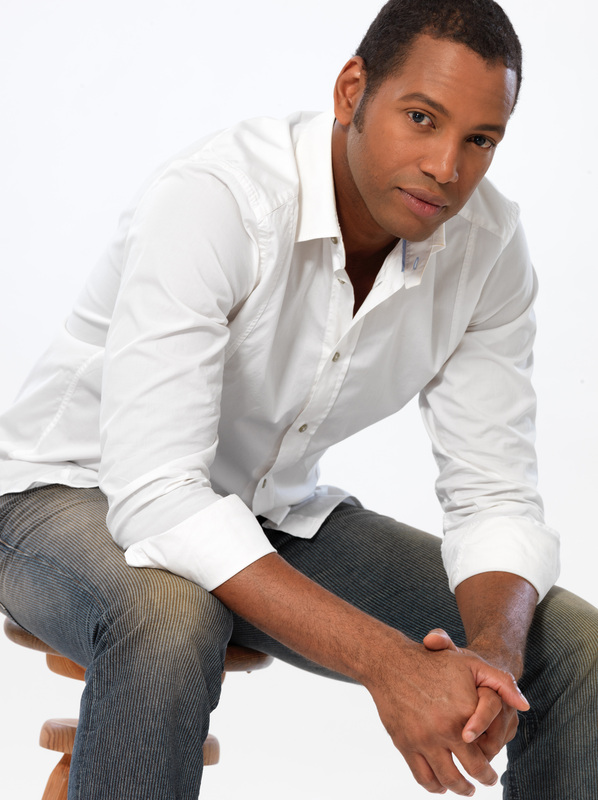 In addition to his sport, Johan Heloise is involved in a Goodwill program he created, Active Generation, and he has also granted his image to several campaigns for Road Safety. Lucie Décosse is unquestionably the leader of feminine French judo. She won her first international title in 2002 and since then has ranked among the best athletes in her class. She won her first senior world title in 2005. She became the third French world champion in this category, sixteen years after Catherine Fleury. She then joined the newly formed Lagardère Paris Racing Club, the result of a merger between the “Paris Judo” and “Racing Club de France” clubs. In 2008, Lucie Décosse qualified for her second Olympic Games. She reached the final, losing against defending Olympic champion, Ayumi Tanimoto, in a memorable match. She then decided to switch to the -70kg category, winning the World Championships in Tokyo in 2010. In 2011, Lucie Décosse won the Paris Bercy tournament for the seventh time, thus setting a new record for the largest number of victories in the most prestigious tournament in the world. She won her third World Championship at this same sporting venue later in the year. She is now also an Olympic champion, having won the only title that was missing from her outstanding record. This ultimate accolade placed her at the top of the hierarchy of French women’s judo today. Now retired from her sport, she dedicates herself to transmitting her craft to the youth in France and many other parts of the World. Isabelle Yacoubou is a French international basket-baller who plays at the center position. Having played for several European powerhouses, she has earned 2 Euroleague titles and is widely considered as one of the best in the World at her position. She was detected in Bénin by the Club of Tarbes where she eventually won 2 national titles and a MVP title during her last season in France. She then joined the Famila Schio club in Italy where she won another national title. Several prestigious clubs would follow the years after : Valencia in Spain, Spartak Moscow in Russia as well as Fenerbahçe İstanbul in Turkey. She’s selected for the first time by the French National Team in 2009. She will earn the gold medal of the Euro Championship that same year as well as a bronze medal in that same competition in 2011, and two silver medals in 2013 and 2015. At the London Olympics, she earns with the “braqueuses” a silver medal after an epic battle against the American National Team. With 147 selections with the French National Team, Isabelle has just put an end to her international career. After a short period in China, she has come back to play for Famila Schio for the last three years. She is still considered as one of the best European centers. This 2016-2017 season, she has noticeably reached the playoffs finals in the italian league. Outside of the court, Isabelle is an easy going woman who’s full of humor. More than ever, she is planning on supporting causes that help the youth in Africa and beyond. 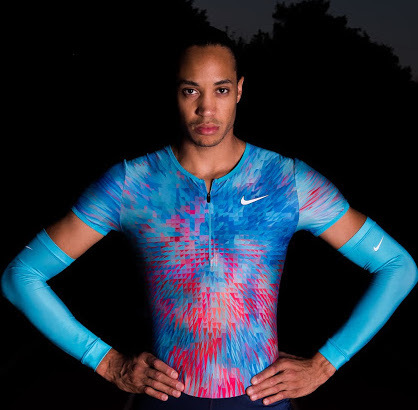 Pascal Martinot Lagarde is a 26 year-old-French athlete – 110m hurdles specialist. Currently affiliated with the ES Montgeron in Paris, he is flatly the French Record holder of his discipline. In 2012, Pascal conquered for the first time the indoor French Championship at the Aubière Arena after defeating the former World Champion Ladji Doucouré. He prolongs that performance during the European Indoor Championship of Goteborg finishing with the bronze medal. 2015 is a great year for Pascal. Despite a tough start, he earns a silver medal at the European Championship. He conquers the Diamond League as well, ranking first in the meetings of Oslo, Eugene and Lausanne, in what could be considered as his best outdoor season thus far. From 2012 to 2017, Pascal Martinot Lagarde has earned 6 French indoor National titles, 2 silver medals at the World Indoor Championships as well as European title. He is most certainly the steadiest French hurdler of the last 5 years. That allows him to foster high hopes for 2020 Olympics. 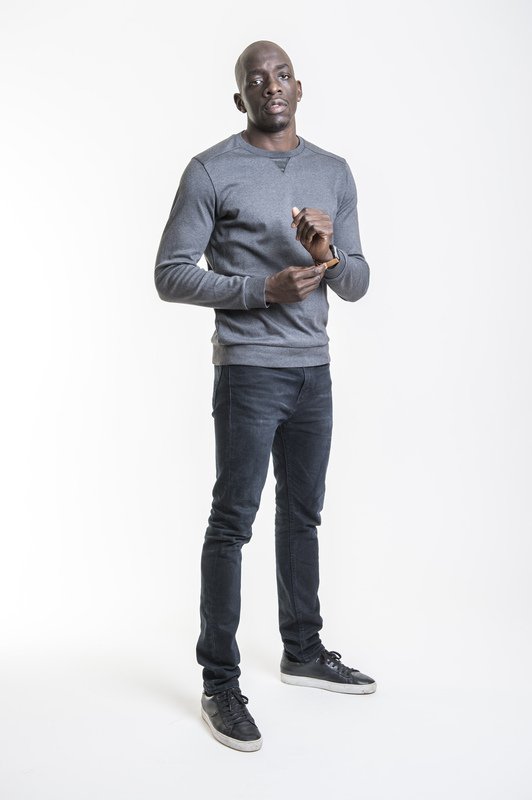 Passionate about new technologies, Pascal has a very likeable and spontaneous personality. With his people skills as well as strong track record, he is surely a fan favorite. He is aiming a major international outdoor title, which would solidify his status as a French sports icon. Dika Mem is a French professional handball player. At only 20, he is already the first-team right back of the FC Barcelona, one of the European handball Powerhouses. Dika started playing handball at the age of 13 at Eaubonne. 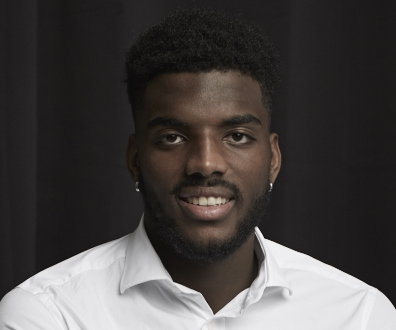 His performances were so impressive that it only took him two years and a half to enter the Youth National Academy and the Elite pro section of the Saint-Gratien/Sannois Handball club. He was selected around the same time by the Junior National Team and won the Under-18 European Championship in 2014 as well as the Under-18 World Championship in 2015. He signed his first professional contract at 17, with Tremblay-en-France. At the end of that very season, he was selected Best Rising Talent of French First Division. In 2016, Dika Mem won the bronze medal at the Under 20 European Championship with the Junior National Team. He was designated best back right of the tournament. Following those remarkable performances, he was recruited by the handball section of the FC Barcelona. The Senior French National Team also selected him for the first time that same year. That allowed him to earn with the “Experts” the World Championship in 2017. Dika progressively establishes his status as a rising figure in international handball. He has conquered the bronze medal at the World Championship with the National Team and has also secured his second National title in a row with FC Barcelona. Dika’s maturity at the highest level continues to raise eyebrows. He could very well become the leader of his playing generation in France as well as one of the main French sports figures in the years to come. Hamilton Sabot is an International French gymnast. As a parallel bars expert, he is the only French gymnast that earned a medal at the London Olympic Games in 2012. 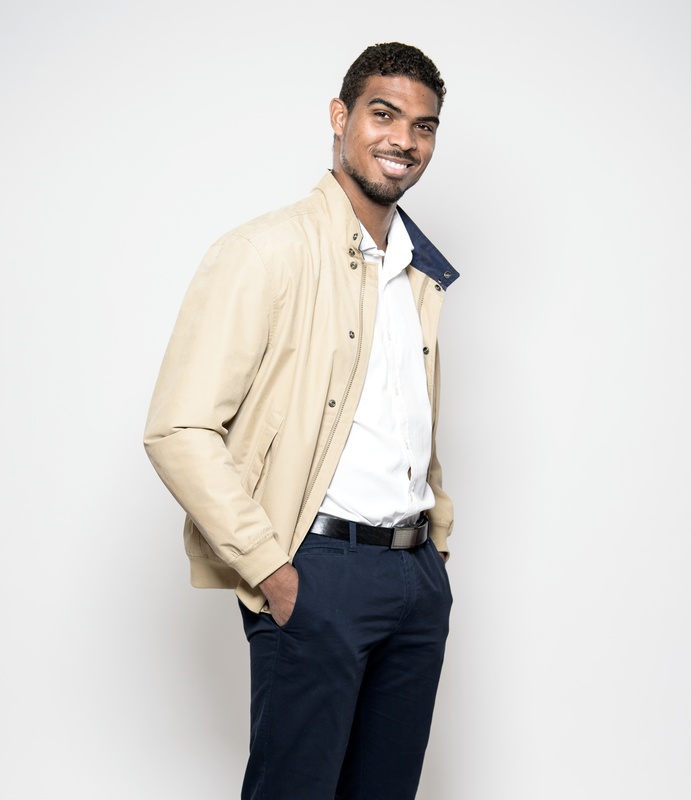 Originally from the French city of Antibes, he started practicing his sport at the age of 7. Still very young when he was detected by Patrick Carmona, who was then the coach of the French National youth teams in Antibes. That allowed him to be selected at a very young age among the French gymnastics Youth Teams. In 2005, he joined the French Elite training group at INSEP, in Paris. 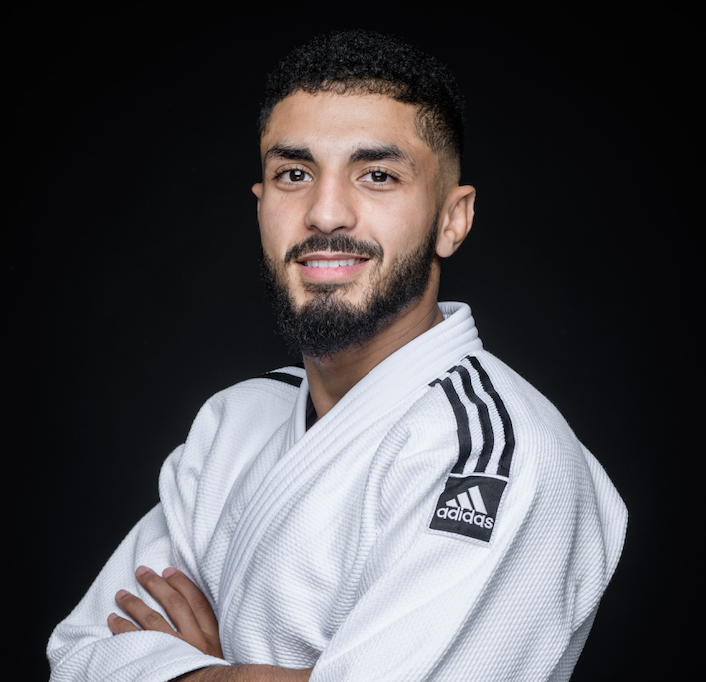 He would eventually earn several international medals : four medals at the Mediteranean Games as well as two bronze medals at the European Championship. In 2012, he wins a bronze medal at the London Games despite a wrist injury suffered a few months before. This winning establishes him as one of of the top French gymnasts of his generation. Hamilton Sabot has a very humble and thoughtful personality. His great looks have allowed him to be chosen for an Emporio Armani campaign in 2012 . Close to his family, he remains very down to earth. Hamilton recently ended his gymnast career. 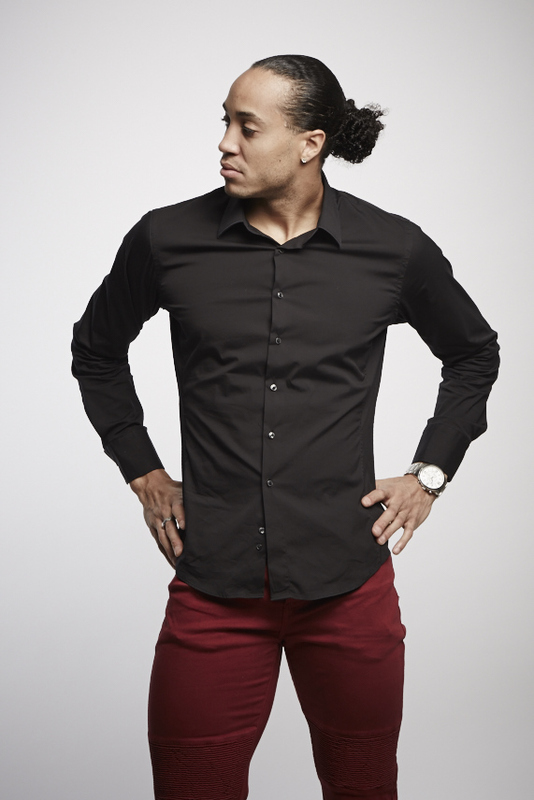 Nevertheless, he remains in the world of sport, as he has become a physiotherapist. 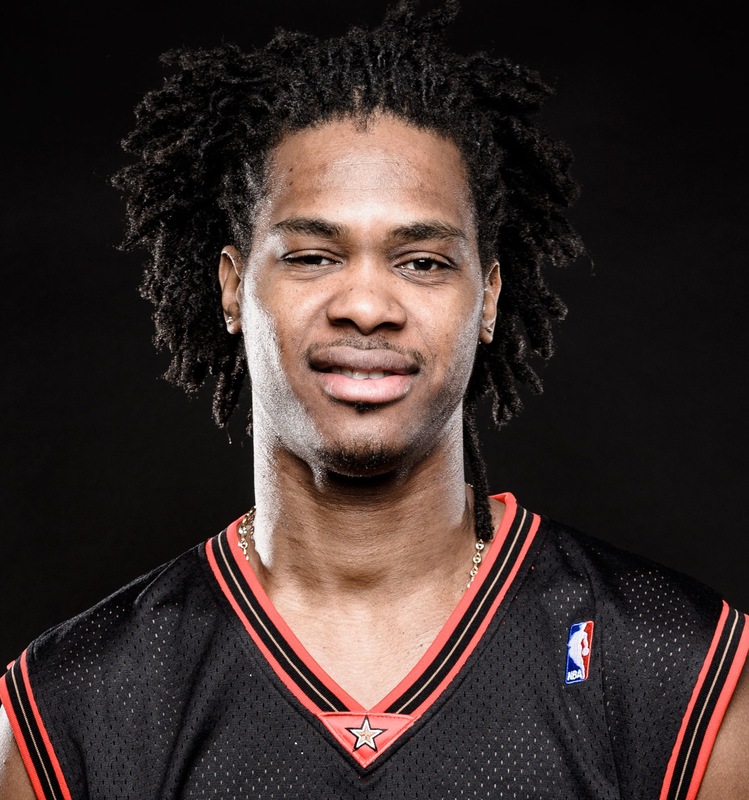 Mickaël Gelabale plays for the French national basketball team as a forward. At only 21, he joined one of the best European teams, Real Madrid, winning the Spanish league in 2005. The same year, he was also on the French national team, winning a bronze medal at the FIBA European Basketball Championship (EuroBasket). In 2006, Gelabale was selected in the NBA Draft by the Seattle SuperSonics, where he played for two years before returning to France. In 2009, he wins the French title with Cholet Basket and ends named MVP (most valuable player) in the final at Paris Bercy. He was also voted best Pro A player in the 2010-2011 season while playing at ASVEL as their team captain. After multiple seasons in European powerhouses (Belgium, Russia, Croatia, and Spain), Mickaël goes back to the French elite championship. He has won again the French first division title with Limoges. He is now playing with Le Mans Sarthe Basket. 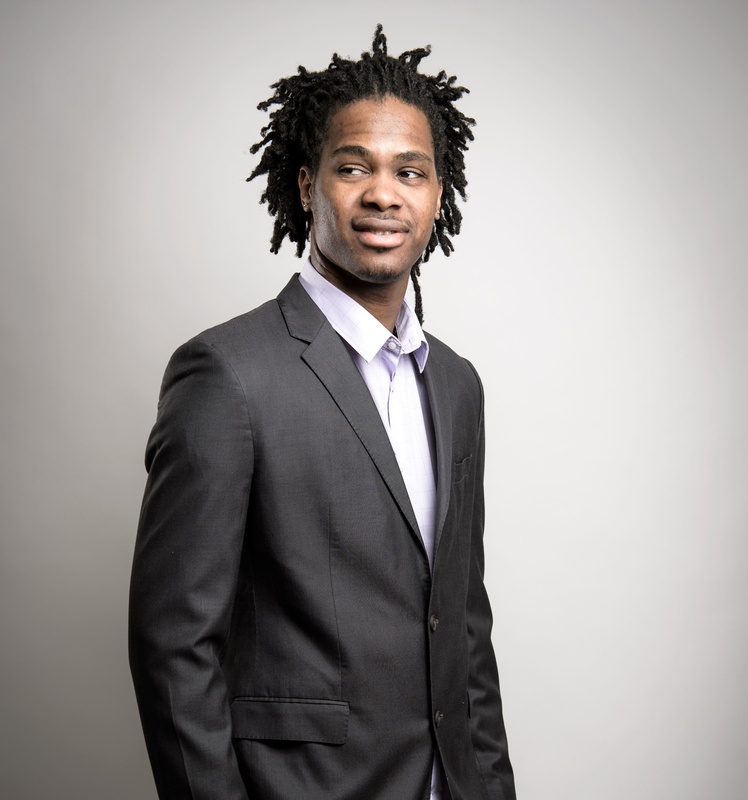 Mickaël Gelabale was a key element when his country won the silver medal at the 2011 EuroBasket and then the gold medal of this same competition in 2013. He helped the French squad to earn two bronze medals, one at the Grenada World Championships in 2014 and the other one at the European Championships in 2015. After finishing 6th at the Rio Olympics, Mickäel puts an end to his international career. He reached 147 selections with “les Bleus”. Jean Michel Lucenay is a French épée fencer, who competes for the Aulnay fencing club. Gifted with extraordinary athletic qualities, Lucenay was quickly spotted by the Pôle France, the national coaching center for the country’s top fencers, which he joined in 1998. He is part of one of the most talented generations of French fencing history along with the Jeannet brothers. He was in the group of fencers that were named the “invincibles,” because they won seven consecutive titles in major international competitions between 2005 and 2011, without ever being defeated. World Champion in the team event in 2002, Lucenay won the University World champion title in 2003, after winning the team gold medal at the European Championships. 2010 was a sensational year for Lucenay. He won the European individual épée title, as well as the World Champion title in a thrilling final against the United States. In 2013, Lucenay has won the Mediterranean Games and has taken back the World team title in 2014 with the French squad. Jean-Michel’s starts 2016 with the individual bronze and team gold at the European championships in Torun. That same year he earns the only title missing to his enduring career: the team Olympic Gold at Rio. After 15 years playing at a top level, Jean-Michel has announced he would retire from fencing just after the 2017 World Championships. Benjamin is a French rower, member of the Nautical Emulation of Bordeaux. 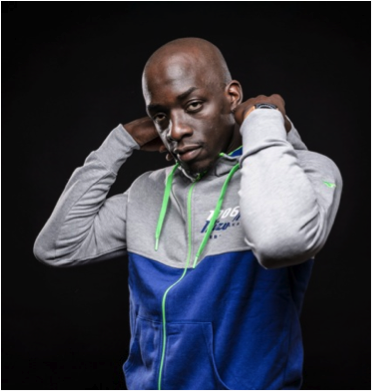 Champion of France in multiple occasions and twice World Championships silver medalist, he is one of the top athletes of the current French National Team. Benjamin began rowing in 1997 under the guidance of his brother. He rapidly showed some strong skills which allowed him to be selected in the French National Youth teams. Michel Andrieux, Olympic champion in Sydney in 2000 and coach of EN Bordeaux played an important role in his development. Winner of the legendary Royal Henley Regatta in 2012, Benjamin won his second silver medal at the World Championships the same year. In 2013, he has already won a bronze medal in the World Cup. He was selected in the ambitious project of the French federation to form a strong rowing 8 squad for the next Olympic Games. They were finalists that year at the World Championships. 2016 is a pinnacle year for Benjamin, as he becomes France Vice-Champion, finishes 3rd at the European Championships and qualifies for the Rio Olympics. Graduated from Montpellier Business School, Benjamin manages to combine professional life and sporting life. He worked for the organization Peace and Sport and has created Linkin Sport, an association gathering professional athletes. Moreover, very present in the Bordeaux rowing club, he is particularly involved in the training of his club young athletes.